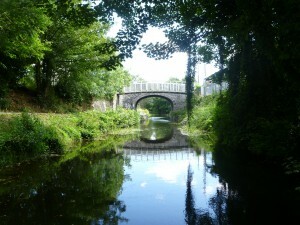 In 2013, BEC Consultants was contracted to carry out an ecological baseline survey of the Royal Canal between Talbot Bridge (Twelfth Lock), County Dublin and Maynooth Train Station, County Kildare. The survey included mapping all the habitats within the canal corridor following Fossitt’s (2000) A Guide to Habitats in Ireland, producing a plant species inventory for each of the 15 sections of the canal, recording aquatic vegetation by means of a grapnel survey and recording birds and mammals. A bat survey was also conducted by a bat specialist. The final report included digitised habitat maps produced in ArcGIS along with the results of an extensive desk study to gather additional data, including on the fish and macroinvertebrate populations of the Royal Canal.